Roland Theys (Homepage) wrote: Good perspective shot! Arash (Homepage) wrote: You have plenty of good photos in your archive, Sascha. but this one is one of my favorites! very nice. 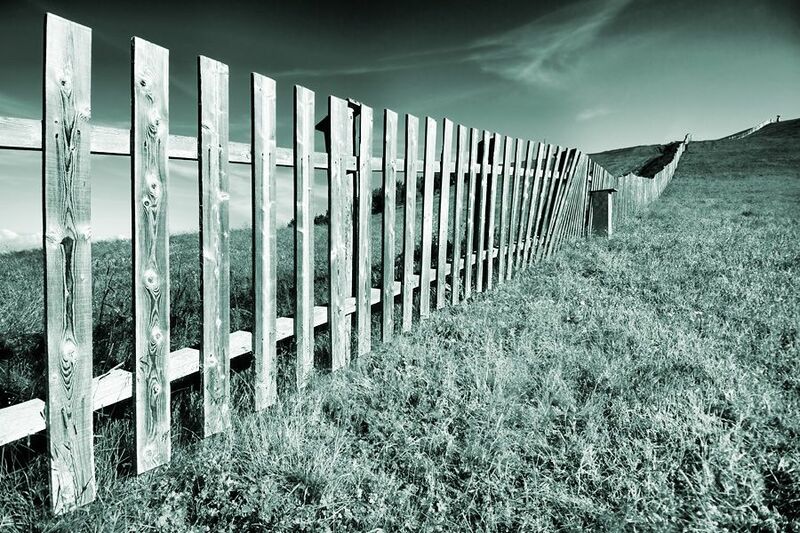 Niels (Homepage) wrote: Like how the fence pulls you in to this picture. crash (Homepage) wrote: nice vantage point. it seems to go on forever! Arjan - PlasticDaisy wrote: That tilt in the fence, halfway, makes it look like a giant domino track, falling over :) Great perspective for this scene! Kris Koeller (Homepage) wrote: Love the post-processing here. The tones are great. Kala (Homepage) wrote: Fantastic depth and beautiful tones. Marcie (Homepage) wrote: What an amazing fence. Love how it goes forever..draws the eye along with it. And - the processing is perfect!! jani (Homepage) wrote: Nice! I love the processing, and also the composition with the fence leading the viewer into the image. sherri (Homepage) wrote: i love the hue here. fantastic vantage point. the fence just disappears. RobertB (Homepage) wrote: Good perspective with the low angle leading the eye all the way to the top. Nice toning, too.